Kawasaki have just announced they will be revealing a new supercharged machine at the EICMA show in Milan on November 7th 2017. They made the confirmation in a teaser video uploaded to Youtube titled ‘Supercharge your journey”. They’re certainly capturing our imagination with their imminent offerings – the much-anticipated Z900RS will also be unveiled next month. 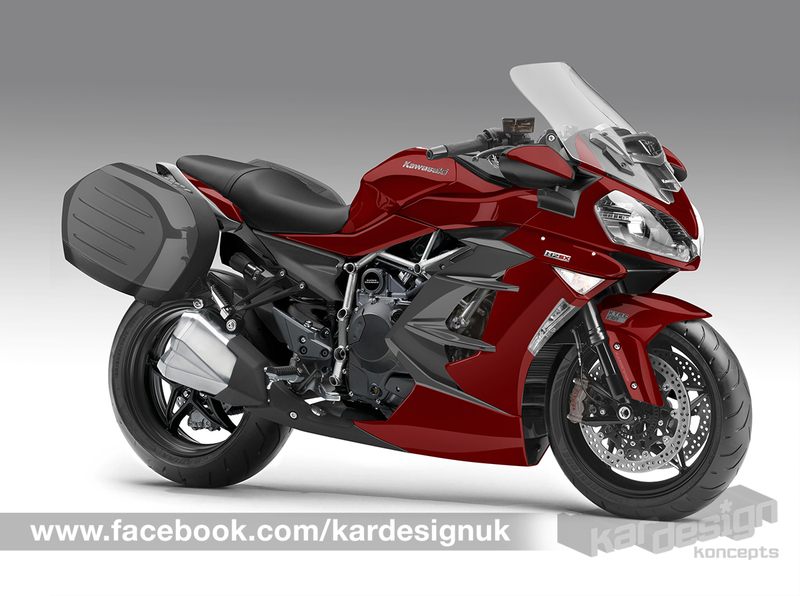 We at Kardesign guessed there was a new H2-based motorcycle on the way, it was only a few weeks ago that leading German magazine Motorrad commissioned us to visualise what this new bike – dubbed the H2 SX – could potentially look like. 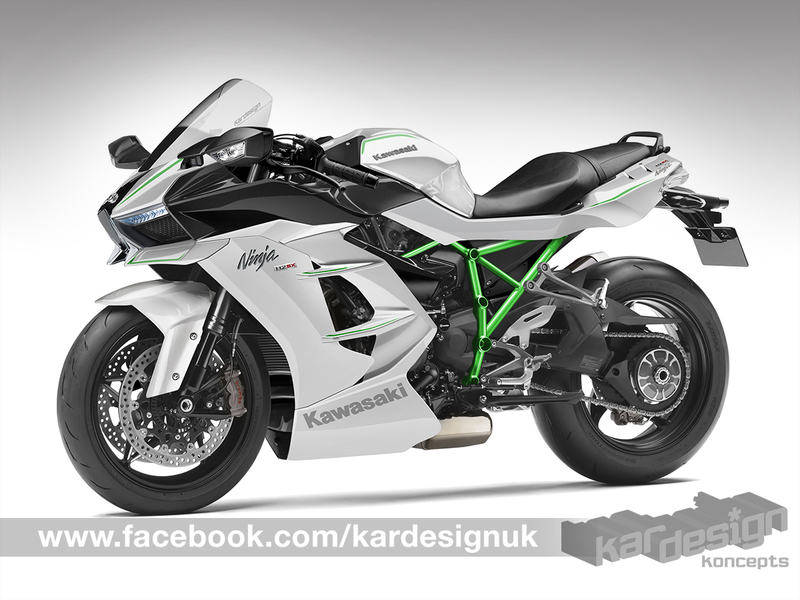 Their sources revealed the new bike to be a sports tourer, filling the slot left by the departure of the ZZ-R1400 from the kawasaki line-up. Using our contacts in the industry for information we came up with a bike that had a strong resemblance to the existing Ninja H2 and H2R, but featuring extra rider practicalities like a more comfortable, upright riding position, smaller exhaust and a bigger full fairing. It shared many components like the trellis frame and 998cc engine. Check out the story and exclusive images here. 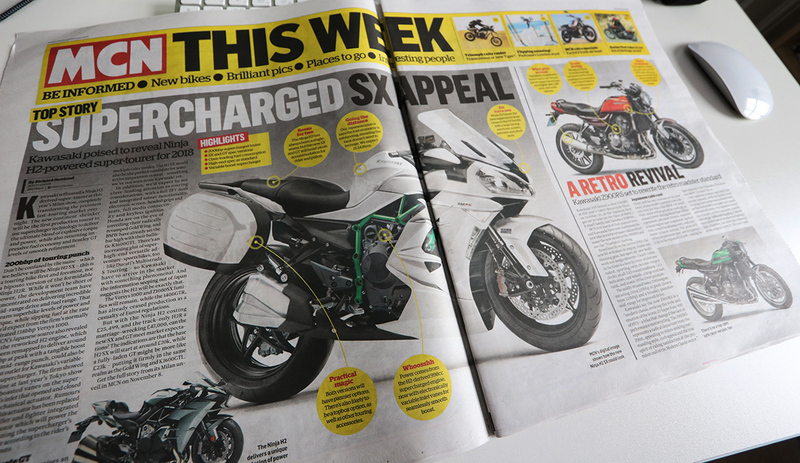 This week’s MCN however, features another Kardesign rendering, this time with fresh information that steers the bike even more heavily towards the premium touring sector. Featuring a large electrically-adjustable windscreen, cornering lights, and a much more upright riding position, the new H2 SX will be aimed squarely at the premium touring market dominated by the likes of the GoldWing and BMW K1600GT. MCN believes fuel economy will be a major benefit and the 200bhp motor is expected to be retuned for massive useable mid-range muscle over a searing top-end. It makes sense to fill the gap that will be left by the departing GTR1400 and ZZ-R1400, both to be dropped in 2018 thanks to tough Euro 4 demands. 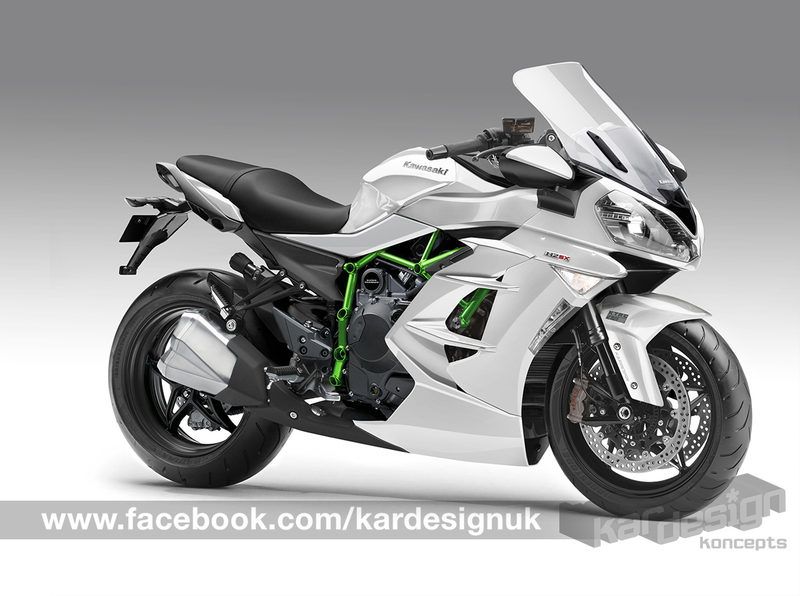 Which rendering is more accurate out of the two we’ve created, nobody outside of Kawasaki knows but all will be revealed next month in Milan. Which bike do you think is closer to the mark? Let us know on our Facebook page and make sure you check out the teaser video from Kawasaki below.